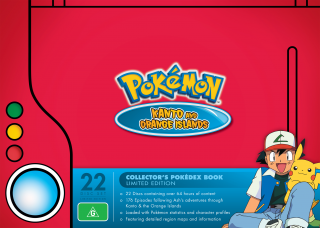 Description The Kanto region of the Pokémon world is home to 151 species of Pokémon and one eager young Pokémon Trainer who can’t wait to see them all! Together with his new friend Pikachu, Ash Ketchum sets out to challenge Pokémon Gyms and win a spot in the Indigo League tournament, an epic journey that takes him through bustling towns, mysterious wildernesses, and everything between. 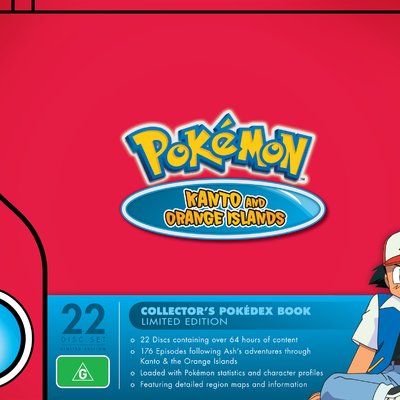 Then Ash turns from the heights of Kanto’s Indigo Plateau to the tropical Orange Islands, as a simple errand turns into his next big adventure: a quest to beat the top Trainers of the Orange Crew! It won’t be smooth sailing all the way, though—the Orange Crew doesn’t battle like anyone Ash has ever seen, and there’s still a lot to learn about being a Pokémon Trainer. Many travels and adventures later, it’s back to Kanto and the brand-new Battle Frontier. These six facilities put Trainers’ Pokémon battling skills to the ultimate test, with a seventh facility hidden somewhere in the region… if Ash has what it takes to find it. And while Ash’s new friend May has never been to Kanto before, she can’t wait to take on the Grand Festival there and prove she’s the best Pokémon Coordinator in the land! 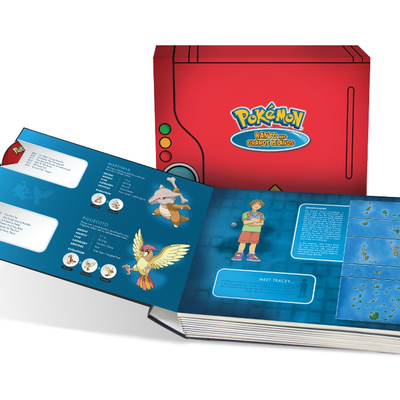 This unique Pokédex hardcover collection is loaded with region specific characters, maps, information and over 64 hours of action packed episodes following Ash’s adventures through Kanto & the Orange Islands. 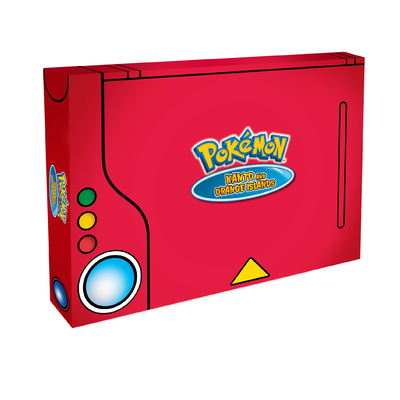 It’s the must-have collection for Pokémon fans! The Fighting Dojo! Satoshi VS Haruka!